The final issue of DC’s Blackest Night made a clean sweep – every block-busting issue stole it's respective months #1 position. However with Marvel running giant story-arcs in many of its key franchises, DC actually lost ground overall in March. 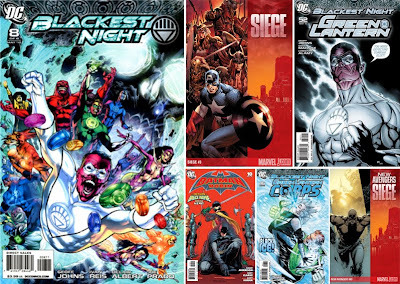 With Marvel’s lead increasing to 17.2% unit share, there could be some pretty nervous people at DC, going into the Blackest Night free month of April. For the complete rundown, click the jump.